Skovby makes shopping for your dining chairs easier with the option of 60 fabrics and leather colours or the choice of having your chosen design covered in your own fabric or leather. This is the number SM40 dining chair and has a wooden frame with a trapeze shaped leg, often called .. 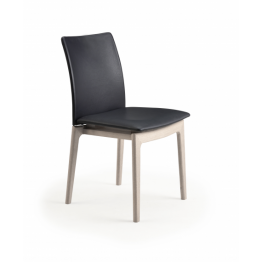 This is the number SM49 dining chair and has a brushed steel frame & arms, and an upholstered se.. 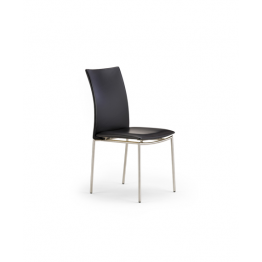 This is the number SM50 dining chair which has an adjustable height mechanism and therefore can be u.. This is the number SM51 dining chair and has a unique back flex function that gives support in many .. This is the number SM52 dining chair and has a retro look which is very much a classic style. The cu.. 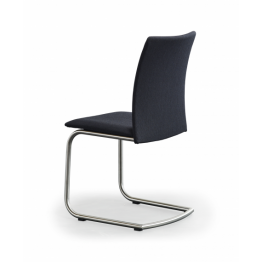 This is the number SM53 cantilever designed dining chair and has a tubular steel frame and upholster.. 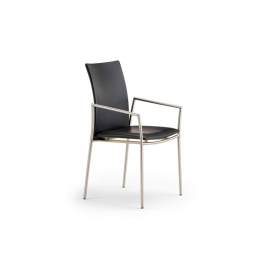 This is the number SM59 dining chair and has a brushed steel frame & arms, and a high upholstere.. This is the number SM63 dining chair has been ergonomically designed and provides marvelous seat com.. This is the number SM64 dining chair which has a high upholstered back and a wooden framework runnin.. This is the number SM65 dining chair which is fully upholstered and has wooden legs on different sha.. 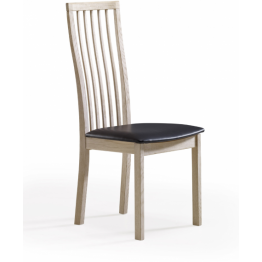 This is the number SM66 dining chair which has a high vertically slatted back and very clean contemp.. This is the number SM90 dining chair which has a an upholstered seat and back. The chair has curves .. This is the number SM91 dining chair which has horizontal spindle back and an upholstered seat and b.. This is the number SM92 dining chair which is modern looking and super stylish. The different wood f.. This is the number SM93 dining chair which is modern looking and super stylish sitting on a brushed .. This is the number SM94 dining chair which has a design that harks back to the classic looks of the .. This is the number SM95 dining chair which has a high vertically slatted back and very clean contemp.. This is the number SM96 dining chair which has a design that harks back to the classic looks with a .. 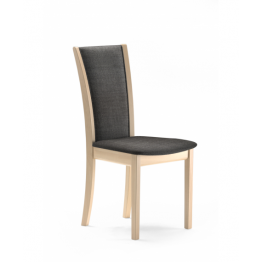 This is the number SM98 dining chair has a low back and curved wooden back which contrasts against t.. This is the number SM99 dining chair with arms in a carver style has a low back and curved wooden ba..